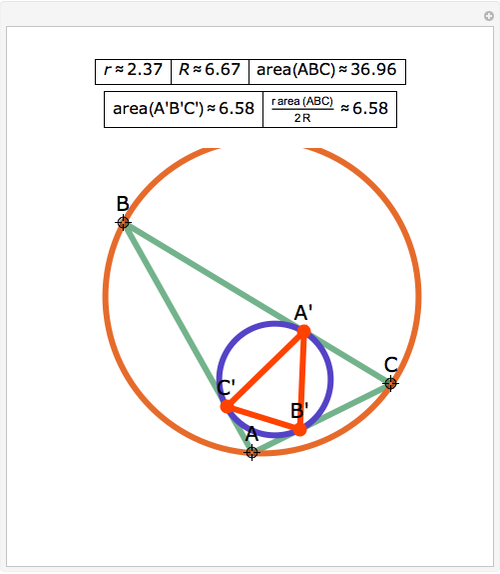 Let ABC be a triangle, the radius of its incircle, and the radius of its circumcircle. 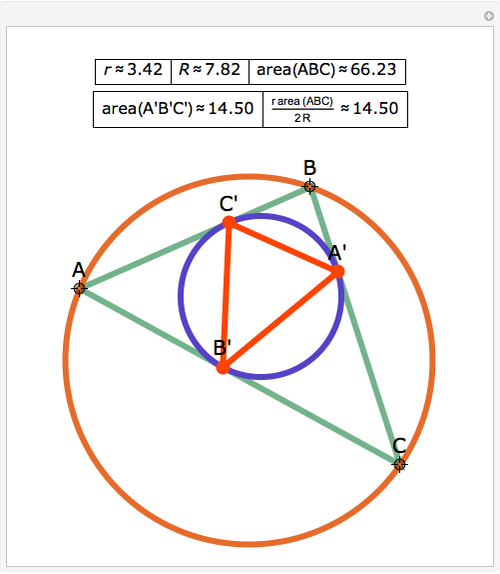 The contact triangle A'B'C' is formed by the three points of contact of the incircle with the triangle ABC. 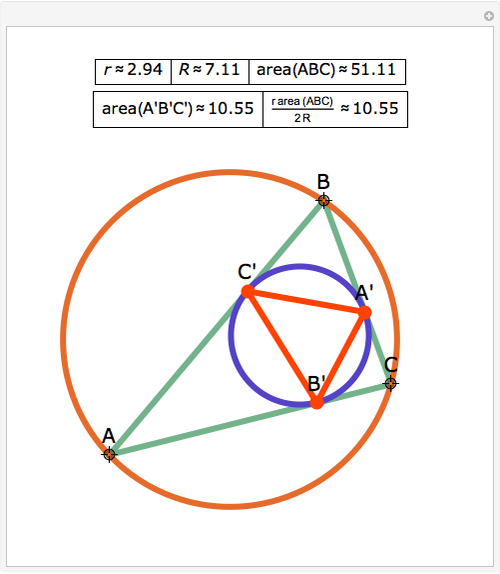 Then the area of A'B'C' is ×area(ABC)/(2 ). 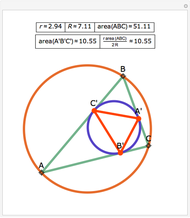 The statement of the theorem is in Problem 82. 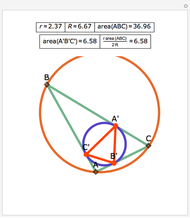 Area of the Contact Triangle, Inradius, Circumradius. 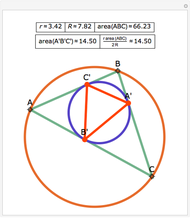 Jay Warendorff "The Area of the Contact Triangle"